NavVis, a leading solution provider in mobile indoor mapping, visualization, and navigation, just introduced a new add-in for Autodesk Revit. The Revit users can use this add-in to associate their BIM models to 360 degree immersive imagery and point clouds which are captured with the NavVis mobile mapping system. This add-in makes the process simple for generating and updating obsolete BIM models to reveal the present condition of the building. NavVis technology stands for a multipurpose reality capture solution that facilitates to instantly scan the present condition of large industrial and commercial properties and move the data on any device. The data is procured by the NavVis M6 mobile mapping system, an groundbreaking mobile mapping system that can scan indoor environments s at rapid speed. The data is then visualized in the NavVis IndoorViewer, a browser supported software that streams the immersive panoramic images and point clouds. 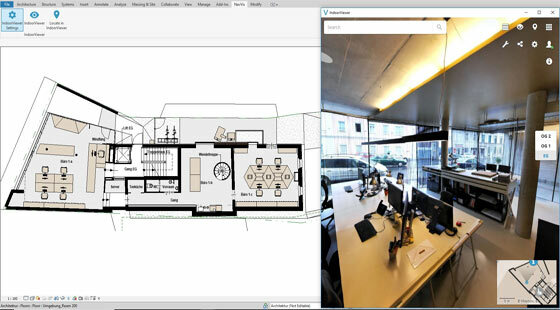 It is now possible to incorporate the NavVis IndoorViewer with Revit BIM models through this Revi add-in. With this integration of Revit and IndoorViewer, a side-by-side comparison of the BIM model can be done and the scanned state of the building can be determined distantly from a desktop. It facilitates the users to instantly identify the changes which were made at the time of formation of the model and the present condition was captured to accelerate the process of updating BIM models. With the incorporation of BIM and IndoorViewer, data silos can’t occur and the planning errors are decreased which may happen because of outdated information. The Revit users who install the add-in can access the added value of the NavVis IndoorViewer, which range from adding and pursuing information and mark-ups, taking measurements, determining route and online collaboration with stakeholders. StreamBIM is the newest and comprehensible software for the users to avail the most recent 3D models and documentation on any digital gadget. One can access the software in North American market via StreamBIM North America. 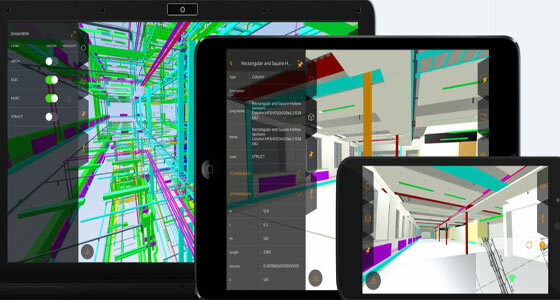 The software facilitates all the project team members to stream complicated 3D BIM models and project plans to their handheld devices whether they exist on site or in the project office. Thus, the project managers will be able to eliminate the errors associated with building as well as utilize the time of their sub-contractors more competently. With StreamBIM, the users don’t have to spend their time by waiting to download a specific section of the construction model. The software also allows to trace issues in real time when they occur, catch photos, and notify the proper team to make necessary amendments. StreamBIM is very effective for collaboration and allocation of information on the basis of open BIM, StreamBIM. It’s role is very crucial and it will affect the ongoing discussions within the construction industry concerning efficiency enhancements and digitalization. The technology is unmatched and provides important project information rapidly to every project stakeholders. 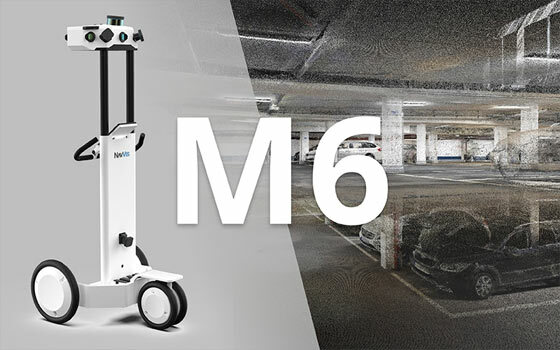 NavVis, a trusted name in mobile indoor mapping, visualization, and navigation, just introduced M6, the avant-garde indoor mobile mapping system that can efficiently deal with the scalability and data quality constraints of today’s reality capture technology. The reality capture technology is very useful for surveyors and AEC professionals to perform various activities like large-scale indoor mapping projects, factory planning, creating and updating as-built BIM models and construction monitoring. The NavVis M6 is an all-inclusive system that has the ability to catch 360-degree immersive imagery, photorealistic point clouds, Bluetooth beacons, WIFI signals and magnetic field data. The NavVis M6 is supported with a mobile LiDAR system facilitates to scan up to 30 times swifter as compared to the stationary devices and the users get the ability to catch up to 30,000 square meters in a day. With the revolutionary 6D simultaneous localization and mapping (SLAM) technology, it becomes possible to improve the quality of data captured. 6D SLAM, M6 can endlessly scans even the most complicated indoor environments along with uneven surfaces or changing elevations, like ramps, open spaces or long corridors retaining the quality of the data unchanged. M6’s innovative software is supported with exclusive hardware features which are specifically designed to enhance the quality of data and simplify the capture: four laser scanners containing a range of up to 100 meters are set up to make the most of scan coverage, whereas six cameras automatically capture high-resolution images throughout mappings. The innovative design of the M6 contains camera placement that retains the operator in a blind spot. It is the most suitable gadget for surveyors and AEC professionals to capture large properties to update or generate floor plans or as-built BIM models. Simultaneously, NavVis IndoorViewer software offers added value by providing each stakeholder to avail the scanned environment through an interactive virtual building in their browser. Various teams can now connect on InfraWorks models with the help of Autodesk BIM 360 platform to provide companies better managing project data and controlling access to project-specific libraries with roles and permission settings. Users can now select a BIM 360 project for storing new InfraWorks models made with Model Builder and Team members can also take advantage of the BIM 360 document management functionality to view and profit valuable project data. 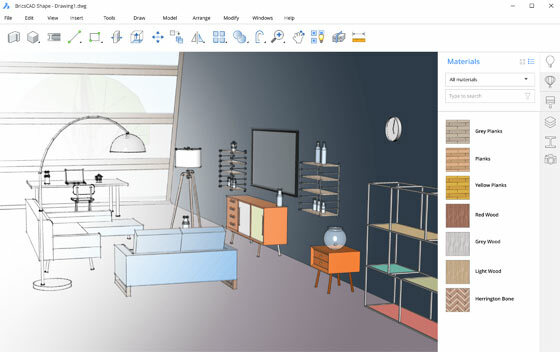 Autodesk is very popular and best known for AutoCAD but it also developing big range o software for every creative field as well as a line of software for consumers such as Sketchbook, Homestyler and Pixlr. They are also creating some educational version of its software with no cost for qualified students and staff through Autodesk Education Community. They also have some digital prototyping software such as Autodesk Inventor, Fusion 360 and the Autodesk Product Design Suite which are used in the manufacturing industry for visualizing, simulating and analyzing real-world showing a digital model in the design process. Autodesk apps can be used in the iPhone, iPad, iPod and Android and the company continuously more accessible design technology for both professional and new designers, homeowners, students and casual creators whoever wants to make and share their ideas with the outer world. 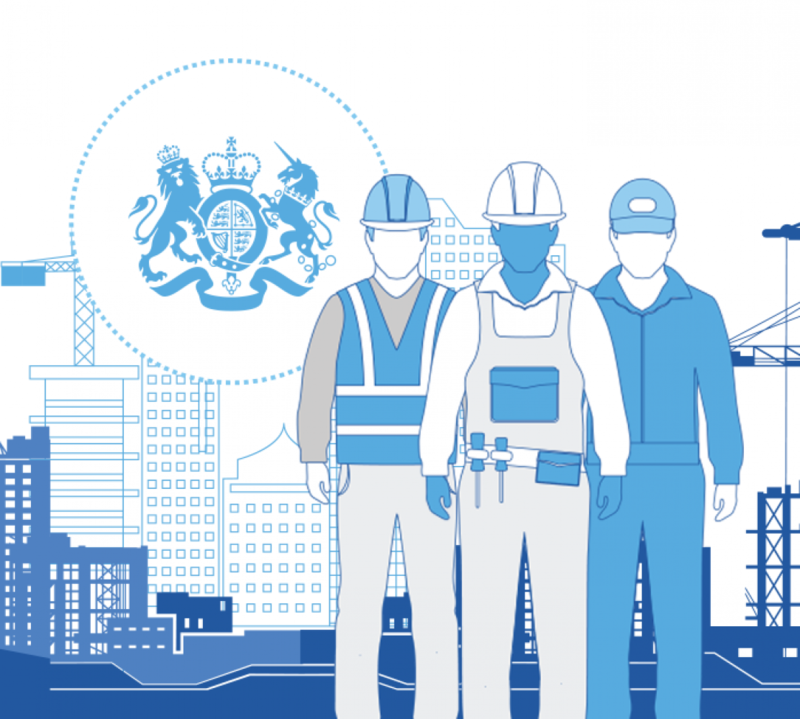 BIM 360: BIM 360 enhances construction project delivery by supporting informed decision-making throughout the project lifecycle; it also connects the people, data and workflows on every project by doing design collaboration, documentation and reviews etc. 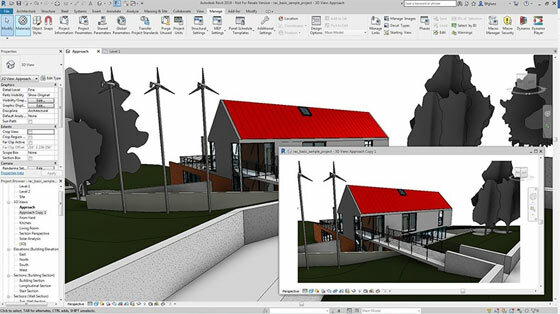 Shared Views: These are a quick and simple way for sharing InfraWorks models online without investing in an enterprise-level solution such as BIM 360. Terrain Contours: These displays has been upgraded with view-based settings to navigate the presentation and visibility of contour lines and elevation text labels or specific major and minor contour intervals can be set to show wile zooming in past a certain point. Parametric tunnels: InfraWorks is now allows parametric tunnel component parts and groups and users can design tunnels in the context of a total infrastructure project and they can be designed in Autodesk® Inventor® for further use and import into InfraWorks. Detailed bridge design: InfraWorks road alliance and span end lines can be sent to an Autodesk Structural Bridge Design model to allow a bridge designer or engineer to make a more detailed model and execute refined analysis. Consolidated road modeling: InfraWorks can consolidate modeling tools; planning roads are for visualization of large networks and component roads are for introductory engineering; in this new release all previous design roads will be automatically transformed to component roads. Dynamic integration with Revit: InfraWorks bridges can be actively updated in Revit whenever users modify a bridge in InfraWorks and they will get an option of matching the InfraWroks bridge which avoids losing all the detailed design work that has been done previously in Revit. 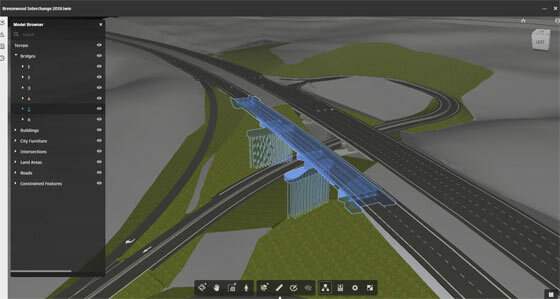 Import InfraWorks roads as Civil 3D corridors: While importing component roads from InfraWroks to Civil 3D they will automatically become corridors with surfaces and subassemblies and give users the improved design capabilities that offer by component roads while supporting more strong interoperability with civil 3D. Civil 3D 2019 (Design) – Fixed vertical curves with high or low points: Civil 3D users now can specify a new kind of fixed vertical curve in an alignment profile to specify a low or high point enabling them for starting the profile design from a specific point. This feature also helps users for developing the rest of a design from a known point and stick to that design constraint in the entire design process. Rail cants supported in Subassembly Composer: Rail subassemblies that are created in Subassembly Composer now get that ability to read the cant which has been calculated on the alignment and then those cant values are used to build a corridor that can reflect the calculated cant. Drawing Production – Batch Saves: Now various drawings and template files can be viewed and saved to the newest versions of Civil 3D using the Autodesk Batch Save Utility; custom scripts can now also add in the batch operation which will save time while shifting a project to a newer version of Civil 3D. Drawing Comparison: The new AutoCAD DWG Compare and identifies and visually shows the differences between two drawings; moreover that the modified, added or removed objects are shown in a new comparison drawing using different colors to show the differences. Revit 2019 has just released and the Product Managers of Revit has shared about some information of the latest version; this new and improved version of Revit has support consistent, coordinated and complete modeling for multiskilled design that increases detailing and construction. There are many parts can be seen at the starting of Revit 2019, from that window if user launches the icon named Sample Architecture Project many options can be seen which is pre loaded with Revit 2019 new features. • On the upper of the left side in the Revit window users can see pre loaded navigating options which are opened in the window and make easier to move on from one tab to another. The best thing is that there is multi-screen support and tabbed views which make Revit 2019 a multitasking one. The windows can be maximized, minimized etc. at the same time. • The Free Review option has added some levels in it which can be edit, remove as per the design; the Crop Window option has also added few things. • The Graphic filters are also added and it upgraded new levels in 3D to work easier. 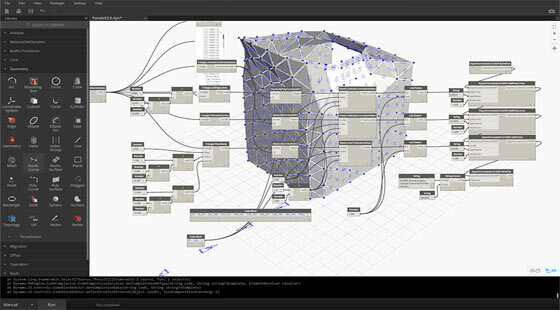 • Revit now allows having Complex Fill Patterns and Life like Rendering to work and have fun with patterns. • Next feature is Split Railing that has simplified the modification and creation of railing in one click. Watch the following online demonstration of Revit 2019. BricsCAD Shape is the newest “push & pull” 3d modeling software application that is basically a constituent of its leading BricsCAD family, an indigenous DWG competitior to Autodesk AutoCAD. BricsCAD Shape is free to use and it is compatible with both macOS and Windows. Linux support is in beta testing phase. BricsCAD Shape performs similar to a conceptual 3d modeling program, and specifically designed to deal with various modeling tasks in different industries especially the AEC (architecture, engineering, construction) industries. BricsCAD Shape facilitates the users to sculpt their ideas in solids from scratch. It’s provides the power of free-form modeling with complete CAD accuracy. BricsCAD Shape comprises of an extensive library of 3D components so that the modelers can demonstrate their ideas efficiently. It is possible to import 3D models from any source, or produce 3d models independently. It is possible to open shape model directly in BricsCAD BIM as well as create your design, whereas collaborating across disciplines with buildingSMART-certified IFC. It is also possible to generate construction drawings quickly and smoothly. It makes CAD industry accurate solid-based schematic design; it is a solids modeler, not a surface modeler. It is primarily DWG-based and it is possible to carry an AutoCAD file into it devoid of translation or conversion. The program can generate user-friendly parametric 3d direct-modeling components like doors, windows and materials. Autodesk introduced new and advanced BIM Software known as BIM 360 Design to allow efficient collaboration in Revit by improving data sharing and permission structure. This newest application will empower the team members to explore data and information across the BIM 360 Design platform as well as work in concert all together whether they’re a cubicle or a continent apart. In addition, the system’s updated permission structure facilitates each team to obtain private virtual workspaces and distribute the on-going projects. From now onwards, the designers don’t have to send files to and fro, because all collaborators will perform in equivalent system. With the help of a new Design Collaboration Module, teams can properly monitor the data exchange, milestone achievements, and deliverables on a visual project timeline. Progress can be also monitored in an automated visual representation of the design and it will allow all the team members to check what is completed. BIM 360 allows the users to avail everything from a web browser, making collaborative working well-situated and intuitive.